How much does it cost to hire a ghostwriter to write your book? Here is your complete guide to getting the best bang for your buck. There is no question that ghostwriting is expensive. 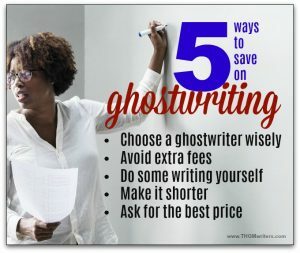 Hiring a ghostwrite costs money. It is a highly skilled, labor-intensive job. But there is a very wide range of pricing. I have known people to pay upwards of $50,000 to have a book ghostwritten. That is not good.